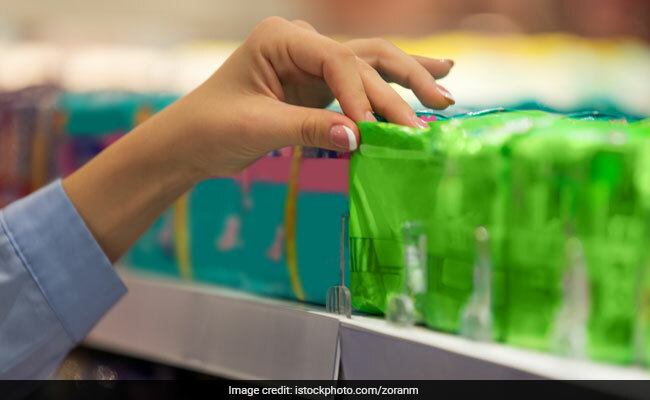 Delhi High Court today said sanitary napkins were also a necessity and there cannot be any explanation for taxing them and exempting other items by bringing them in the category of necessity. "You exempt bindi, kajal and sindoor. But you tax sanitary napkins. It's such a necessity. Is there any explanation for it," the bench said. Sanitary napkins have been placed under 12 per cent GST slab. New Delhi: If bindi, sindoor and kajal are kept out of the ambit of the GST, why cannot the sanitary napkins be exempted, the Delhi High Court asked the Centre today. The High Court bench said sanitary napkins were also a necessity and there cannot be any explanation for taxing them and exempting other items by bringing them in the category of necessity. "You exempt bindi, kajal and sindoor. But you tax sanitary napkins. It's such a necessity. Is there any explanation for it," the bench said. The court also expressed unhappiness over absence of any women in 31-member Goods and Services Tax (GST) Council. "Have you discussed it with the Ministry of Women and Child Development before doing it or have you just looked at the import and export duty. This has to be done while keeping in view the larger concern," the bench said and listed the matter for December 14. The court was hearing a petition filed by Zarmina Israr Khan, who is a PhD scholar in African studies at Jawaharlal Nehru University, challenging the levying of 12 per cent GST on sanitary napkins. The plea has termed the levy illegal and unconstitutional. Central government standing counsel Sanjeev Narula said if they would exempt sanitary napkins from tax, the cost of the product would go up. "Reducing the GST rate on sanitary napkins to nil, will result in complete denial of input tax credit to domestic manufacturers of sanitary napkins, while zero rating imports. This will make domestically manufactured sanitary nakpins at a huge disadvantage vis-a-vis imports, which will be zero rated," the counter affidavit, filed by the Centre, said. To this, the bench said these are technical and statistical reasons and the government was playing with figures. The Centre's affidavit said as raw materials for manufacture of sanitary napkins attract GST of 18 or 12 per cent, even 12 per cent GST on sanitary napkins there in an inversion in the GST rate structure. It said that the tax rate was neither arbitrary, nor violative of any of the constitutional guarantees espoused in the Constitution; as the procedure followed meet the constitutional tests laid down by the apex court through various pronouncements. The court had earlier sought responses of the finance ministry and the Goods and Services Tax Council on the petition. The petitioner has claimed that the petition has been filed for the benefit of women in general, particularly those belonging to the lower economic strata of the society. The plea filed through advocate Amit George said it was a real issue on the ground level and sought quashing of the imposition of 12 per cent GST on sanitary napkins, and declaring them to be liable to a 'nil' rate or a reduced rate. The plea alleged that 12 per cent slab on sanitary napkins, a shade lower than 13.7 per cent in the previous indirect tax regime, is ex-facie unconstitutional, illegal and arbitrary which has witnessed strong dissent and calls for corrective action from individuals and organisations across the country. The petition said that the government had exempt goods like kajal, kumkum, bindis, sindoor, alta, plastic and glass bangles, hearing aids, passenger baggage, puja samagri of all kinds, and all types of contraceptives, including condoms, from the purview of taxation but not extended the exemption to sanitary napkins which are essential for the health of women. "The government has grouped sanitary napkins with toys, leather goods, roasted coffee, mobile phones and processed foods amongst others for the imposition of a GST rate of 12 per cent under the present tax regime. Such an action/omission is palpably arbitrary and unreasonable," it said.